“The most important case is the one I am working on right now.” Patrick Hosey has represented clients in a wide range of litigation and trial matters, varying from wrongful death and catastrophic injuries to multi-million dollar business disputes to civil rights cases. Hosey has also received awards and recognition for his extraordinary trial verdicts as well as published appellate opinions on cutting edge legal issues. After working for a large firm for five years, Hosey began a solo practice in 1996. In 1999, he merged practices with his wife, Sherry Bahrambeygui. The firm emphasizes personal injury, employment litigation and consultation, health law and business litigation. 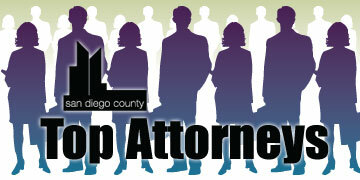 Since 2006, Hosey has been active with the San Diego County Bar Association serving as president in 2010. He remains active on numerous sections and committees. 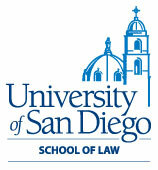 Hosey has also served as a director of the Consumer Attorneys of San Diego from 2004-2006. He has been appointed a master in the Enright Inn of Courts and has been a team leader and instructor for more than 13 years with the National Institute of Trial Advocacy. In 2004, Hosey was one of five attorneys from the United States asked to teach trial skills to practicing solicitors in Dublin, Ireland, through the international arm of the National Institute of Trial Advocacy. San Diego County Bar Association, Board of Directors; Consumer Attorneys of San Diego; Lawyer’s Club; Enright Inn of Court; American Trial Lawyers’ Association; Consumer Attorneys of California; American Business Trial Lawyers’ Association and American Bar Association. Hosey grew up in Boston (still a Red Sox season ticket holder). He was a member of the U.S. National Crew team for three years between college and law school. While in law school, he met his then future wife and law partner, Sherry Bahrambeygui. They have twin 12-year-old sons, Liam and Ryan. Hosey’s hobbies include ice hockey, skiing with his sons and competing in triathlons.